The Vancouver Urantia Study Group Meetings are held on the third Wednesday of the month at 7:30pm. Please call before attending to be sure of getting correct directions to the meeting place. There is always ample parking space for vehicles/bicycles. The Urantia Book Study Group meetings have been ongoing in Vancouver since the mid 1970s. The meeting is informal and usually has between eight to twelve people in attendance. 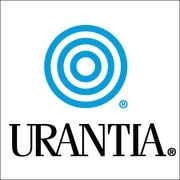 The Urantia Book is studied by paper or by topic/subject as presented by any one reader of the book. The meeting starts at 7:30pm ending about 10pm, with light refreshments and time for thoughtful reflection. 81:2.2 (901.5) You who now live amid latter-day scenes of budding culture and beginning progress in social affairs, who actually have some little spare time in which to think about society and civilization, must not overlook the fact that your early ancestors had little or no leisure which could be devoted to thoughtful reflection and social thinking.